The Sofia City Hall is paying BGN 1.25 M to send 20 tons of its waste to the landfill in the central town of Sevlievo. Half of the amount is the disposal fee while the other half is for transportation. So far, for the last five years, the relocation of the capital's waste has cost Sofia's taxpayers BGN 99 M.
The Sevlievo Mayor, cited by the Bulgarian daily "Dnevnik," said he had no idea about the intentions of the Sofia City Hall and there is no signed contract. Despite that the City hall council members are moving to approve the transportation of the waste to Sevlievo. In September, the City Hall divided the last waste remaining in the outskirts of the capital to be sent to landfills in the cities of Plovdiv, and Lovech and the towns of Karlovo and Sevlievo. For Lovech, Plovdiv, and Karlovo, the decision was already passed and the waste must reach them by the end of March, 2011. Local municipalities would not receive State budget compensations for accepting the waste and they are banned from charging higher fees than the local ones. Finding a solution to Sofia ongoing waste problems was a politically sensitive issue in the months before the parliamentary elections last summer, which mayor of the capital Boyko Borisov won by a large margin. The previous Socialist-led government officially declared a state of emergency in Sofia at the beginning of April over lack of adequate waste removal, saying that the garbage problems threatened national security and citing health and environmental concerns. The then opposition party of Sofia mayor GERB dismissed this as pre-election muscle pumping. 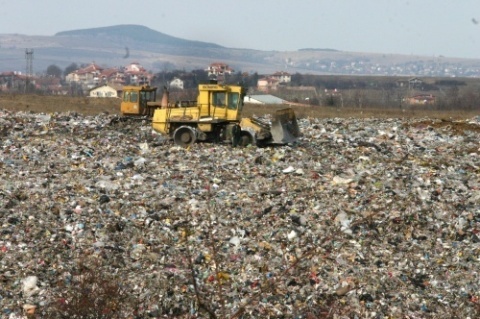 The gargabe problems came after the people, living close to Sofia operational landfill at Suhodol, started staging rallies, demanding the closing of the dumpsite on the western outskirts of Bulgaria's capital over health and environmental concerns. The dumpsite was reopened at the beginning of December 2007 after the environment ministry backed the controversial option to prevent a looming garbage crisis in the capital. Suhodol residents forced Sofia authorities to introduce crisis management in July 2005 after blockading the landfill. The protests left the streets in the capital littered with garbage, posing a serious risk to human health and the environment. Sofia's failure to improve its waste management infrastructure was one of the six issues on which the European Commission launched infringement procedures against Bulgaria at the end of October 2007. As Bulgaria failed to address the European executive's concerns, the matter has now be referred to the European Court of Justice, the highest judiciary authority in the bloc, which the country joined in January, 2007. The trial against Bulgaria in the European Court of Justice is expected to last at least two years. It will be suspended provided that the country manages to deal with the shortcomings.